The Shepherd’s Hut Craft Shop on Inishbofin Island in County Galway sells a range of tastefully handcrafted giftware including ceramics/pottery, glassware, marine based artwork, handmade soap, and cards. Inishbofin Island in County Galway is home to The Shepherd’s Hut Craft Shop which sells a range of tastefully handcrafted giftware including ceramics/pottery, glassware, marine based artwork, handmade soap, and cards and is located just a few a minutes walk from Inishbofin pier. The shop is owned and operated by an approved craftsperson with the Crafts Council of Ireland (CCOI) who is also a member of Visual Artists Ireland. Stocking a unique range of wares to suit all budgets, all items can be posted worldwide. Items are tastefully handcrafted on the island and are very much influenced by the island and its beautiful surroundings. An eclectic selection of wheel thrown pottery, handmade ceramics, hand silk screenprinted home/giftware and fused glass pieces. 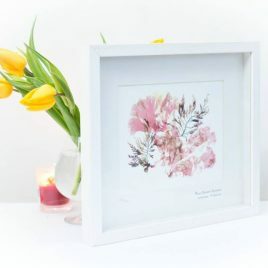 In addition, a unique selection of authentic hand pressed seaweed (both originals and limited edition prints), capturing the ethereal beauty of the underwater gardens that surround Inishbofin Island. All are tastefully handcrafted on Inishbofin, and are very much influenced by the beautiful island and its surrounding beguiling ocean. The Shepherd’s Hut Studio was opened to the public during summer 2011. Workshops in pottery, screen-printing, fused glass and soap making are available to visitors.